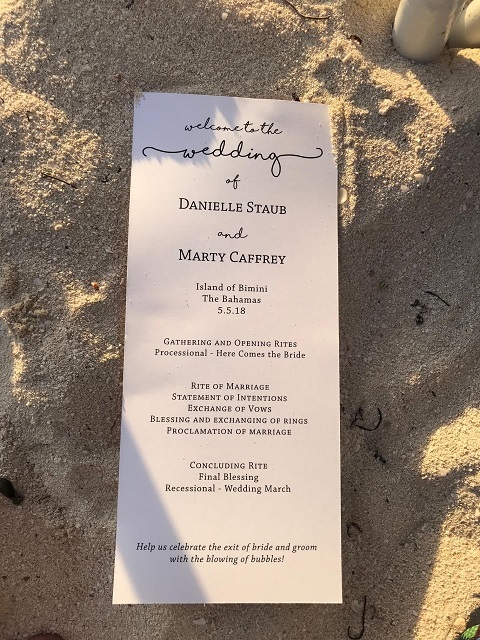 Congratulations are in order for Danielle Staub and Marty Caffrey! The Real Housewife of New Jersey star has got married to his boyfriend-turned-fiancee on Saturday, May 5, multiple sources have confirmed. 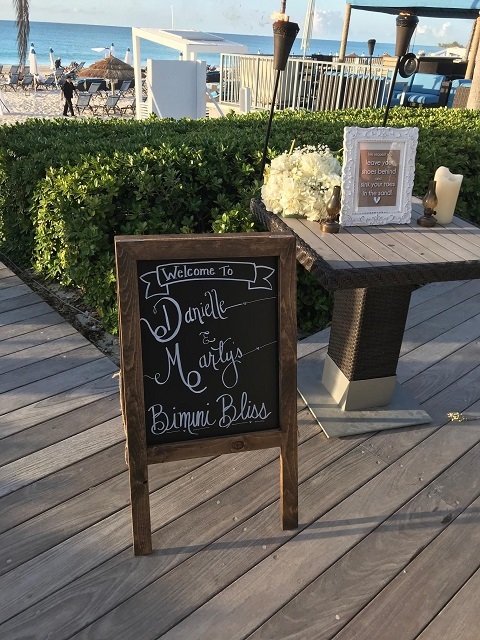 As per the report, the couple conducted their wedding at a private ceremony on the Bahamas' North Bimini Island at the Luna Beach Club as Danielle's two daughters were present while the couple exchanged their vows. Danielle's former RHONJ castmate Teresa Giudice also attended the wedding, serving as matron honor, while Margaret Josephs and Melissa Gorga were bridesmaids. Yeah, she asked me to be her maid of honor. I heard that the bridal party is huge. Danielle shopped at Kleinfeld in NYC for her Pnina Tornai dress and her bridesmaids wore dresses from our new bridesmaid company, Kleinfeld Bridal Party. Hours before the nuptials Danielle, who wore a Pnina Tornai gown, spoke exclusively to Us Weekly and admitted she was a “little nervous” as a stream of visitors came by. It’s different when you’re a girlfriend, and then it’s different when you’re a fiancée, the stages are all different. When it gets real, and we did our rehearsal last night, and we did our fake I do’s, it’s like, oh my God, we’re almost married. This is happening I felt like, when I saw his family last night for the first time after our rehearsal, on the beach, I felt them looking at me like I was a wife. And to me, and my daughters, looking at him like he is my husband. And I think it definitely made it super profound for me. As per the report, the ceremony was filmed for the Bravo reality show and could air in the new season. As previously reported, in May 2017 that the couple was engaged after a year of dating. Danielle has been married twice. She was previously married to businessman Thomas Staub in 1986 and after a year, she ended the marital relationship with a divorce. The former couple share daughters Christine and Jillian together.